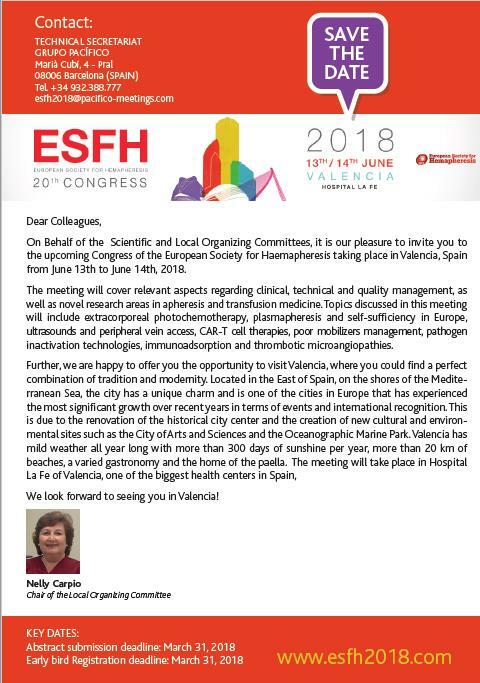 The European Society for Hemapheresis - short ESFH - was founded in 1984 with the aim of gathering European physicians, scientists, and allied health personnel working in the field of Hemapheresis with a vision to improve donor and patient care. The mission of ESFH is to advance knowledge in apheresis techniques through education, to consolidate and spread proven methods, and to open new paths in the collection of blood cells and treatment of diseases by apheresis. What Technology Would You Use for Plasma Exchange?